Blend in a blender the milk and blueberries or fruit of choice. Add the bananas, lime juice and sweeteners of choice to the blender and blend. 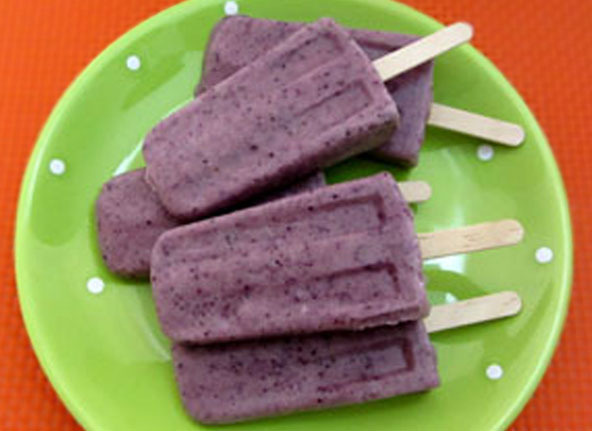 Add the blueberries or chopped fruit of choice to the popsicle molds and pour the liquid mixture to fill in leaving ¼ inch to the top to allow for expansion from freezing. Place into the freezer for 6 plus hours until hard.